Welcome to Oregon Trail Campground, located in Twin Falls, Idaho, where we provide RV parking and camping amenities. Welcome to Oregon Trail Campground! If you are looking for an RV parking site or campground near Twin Falls, Idaho’s attractions, come to Oregon Trail Campground! 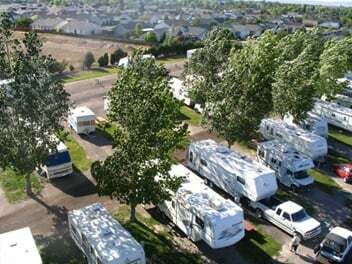 We are a licensed and certified RV campground and a member of RV Idaho and Trailer Life. Whether you want to settle into a campsite with complete amenities, or you want to go camping in a more traditional manner, we have everything here at Oregon Trail Campground! Whether with family or a few select friends, getting out and exploring the rocks, rivers, mountains and forests of the Oregon Trail is a thrilling experience. 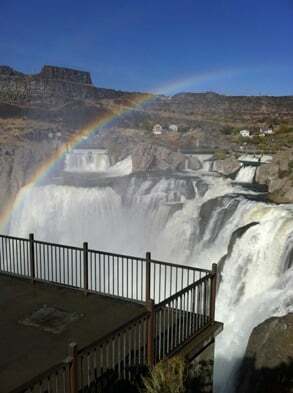 Here at Oregon Trail Campground, the choicest destinations such as the Magic Valley, Snake River and Shoshone Falls are within a 10 minute drive, and the campground is less than 15 minutes from the I-84. Explore the Oregon Trail Hassle-Free! Contact Us! We are located at 2733 Kimberly Rd. Twin Falls, Idaho 83301 and we are open to serve you 24/7. Contact us at 1-208-733-0853 today for inquiries or reservations. Visit Twin Falls Area Chamber of Commerce for more information about our local area. Copyright © Oregon Trail Campground, 2018. All rights reserved.